Malapascua Budget Inn v Malapascua Island, Filipíny: Zarezervujte nyní! 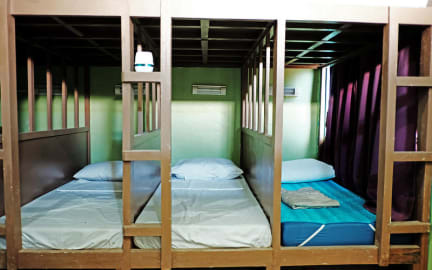 Our hostel provides a variety of room that can accommodate a couple, a family or group of friends or people travelling alone through our budget beds, single room and family room. We are centrally located with 9.3 superb location where everything is within your reach w/ nearby supermarket, restaurants, dive shop and walking distance to the front beach & Malapascua port. All our rooms are air-conditioned room w/ comfortable beds. It has shower heaters and good water pressure. 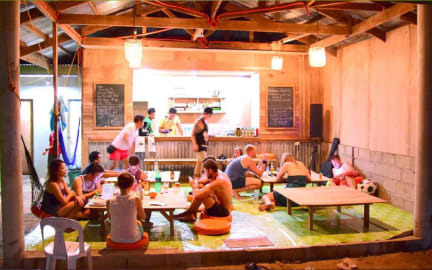 We have a lounge area and chill out bar where you can hang out with your friends and family and some guest from other parts of the world. It's a place where you can meet new friends and learn from their culture and traditions. A place where strangers become friends. We also have a free wifi and a place where you can play music of your own choice and relax on your free schedules. We also organize your activities while you are in the island with standard prices for Scuba Diving, Snorkling, cliff diving and island Hopping to Kalanggaman island. We will make your vacation the most organized and memorable experience in the beautiful island of Malapascua.